Junior Jamila Jones and junior Dylan Castillo dissect a cow heart. 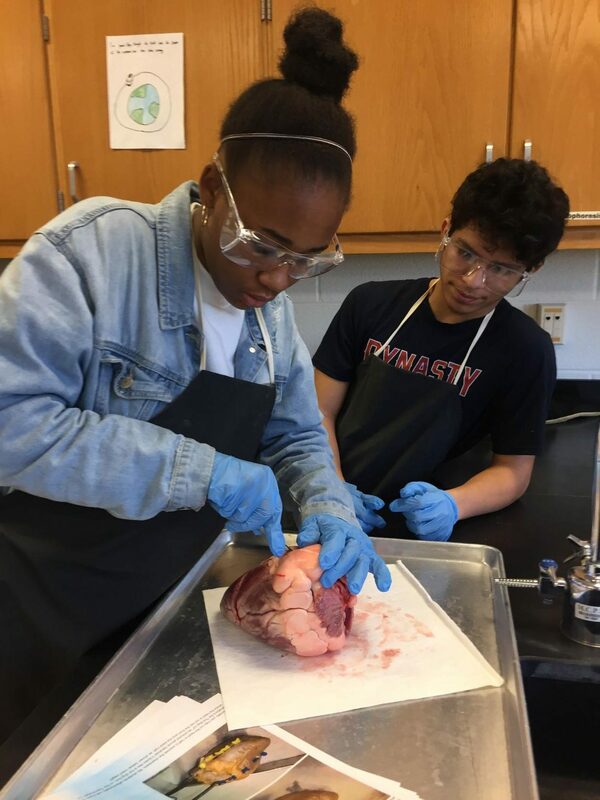 IB Sports Health classes dissected cow hearts, filled lungs with air, and examined a femur with knee joint to learn about the skeletal system today. Science teacher Laura Davis Vaughan brought in fresh body parts to help her students see the systems that were being discussed in class firsthand. While students complained about the smell, it was a once-in-a-lifetime experience. 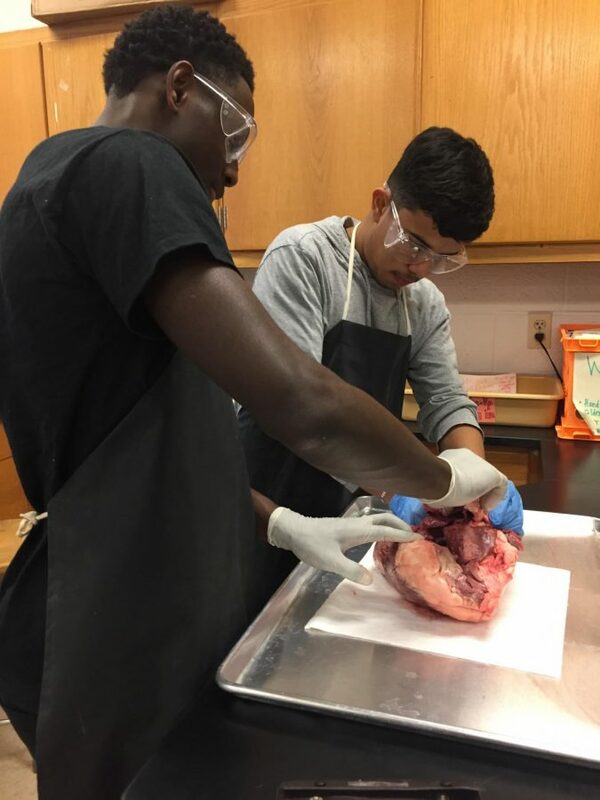 Senior Idriss Traore pulls open a cow heart with his partner Henry Ramos-Diaz.